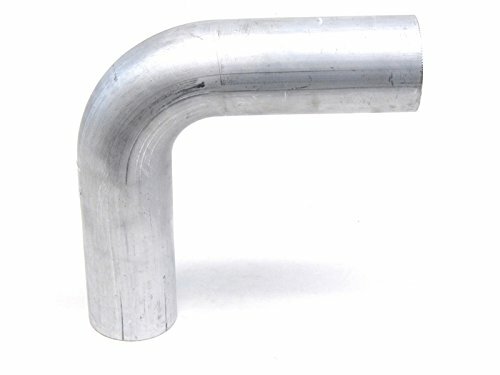 HPS (AST-125) 1.25" OD, 1 Foot Length, 6061 T6 Seamless 16 Gauge Aluminum Round Straight Tubing, 0.065" Wall Thickness is commonly used in industrial, automotive, marine and aerospace industry; Great for custom fabrication project such as DIY air intake, cooling systems, turbo intercooler piping setup because 6061 aluminum is the most popular and versatile alloy, and is the least expensive of the heat treatable aluminum alloys. HPS aluminum round tubing is sold in the T6 condition, ideal for sawing, machining, sanding, and polishing. The aluminum pipe can be polished, but due to the softness of the aluminum, care must be taken not to remove too much material, especially in the area near any welds. Remark: HPS does NOT recommend 6061 Aluminum to be used for exhaust systems. 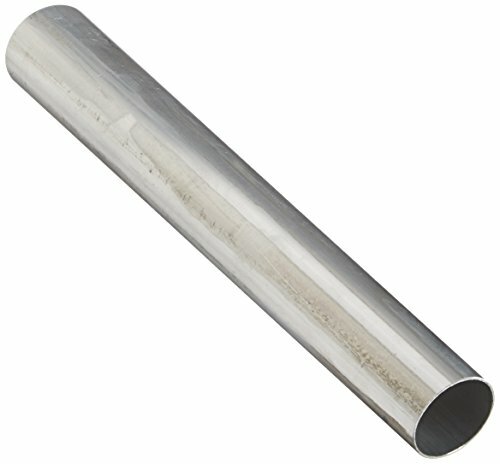 HPS (AST-200) 2" OD, 1 Foot Length, 6061 T6 Seamless 16 Gauge Aluminum Round Straight Tubing, 0.065" Wall Thickness is commonly used in industrial, automotive, marine and aerospace industry; Great for custom fabrication project such as DIY air intake, cooling systems, turbo intercooler piping setup because 6061 aluminum is the most popular and versatile alloy, and is the least expensive of the heat treatable aluminum alloys. HPS aluminum round tubing is sold in the T6 condition, ideal for sawing, machining, sanding, and polishing. The aluminum pipe can be polished, but due to the softness of the aluminum, care must be taken not to remove too much material, especially in the area near any welds. Remark: HPS does NOT recommend 6061 Aluminum to be used for exhaust systems. HPS (AST-150) 1.5" OD, 1 Foot Length, 6061 T6 Seamless 16 Gauge Aluminum Round Straight Tubing, 0.065" Wall Thickness is commonly used in industrial, automotive, marine and aerospace industry; Great for custom fabrication project such as DIY air intake, cooling systems, turbo intercooler piping setup because 6061 aluminum is the most popular and versatile alloy, and is the least expensive of the heat treatable aluminum alloys. HPS aluminum round tubing is sold in the T6 condition, ideal for sawing, machining, sanding, and polishing. The aluminum pipe can be polished, but due to the softness of the aluminum, care must be taken not to remove too much material, especially in the area near any welds. Remark: HPS does NOT recommend 6061 Aluminum to be used for exhaust systems. 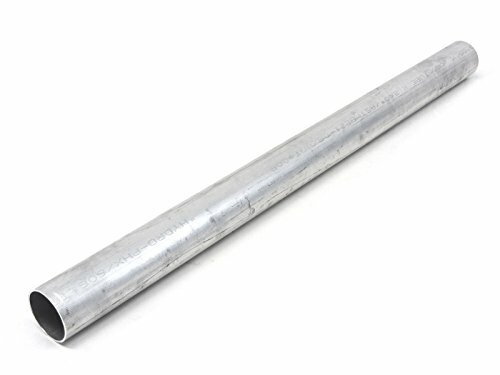 HPS (AST-175) 1.75" OD, 1 Foot Length, 6061 T6 Seamless 16 Gauge Aluminum Round Straight Tubing, 0.065" Wall Thickness is commonly used in industrial, automotive, marine and aerospace industry; Great for custom fabrication project such as DIY air intake, cooling systems, turbo intercooler piping setup because 6061 aluminum is the most popular and versatile alloy, and is the least expensive of the heat treatable aluminum alloys. HPS aluminum round tubing is sold in the T6 condition, ideal for sawing, machining, sanding, and polishing. The aluminum pipe can be polished, but due to the softness of the aluminum, care must be taken not to remove too much material, especially in the area near any welds. Remark: HPS does NOT recommend 6061 Aluminum to be used for exhaust systems. 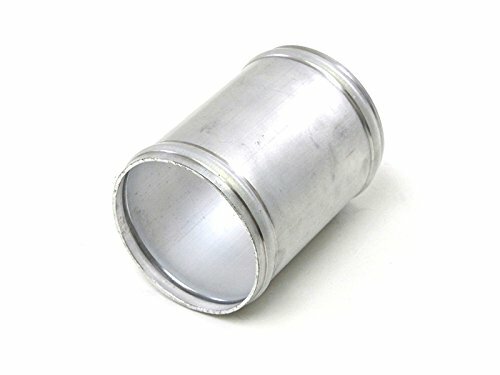 HPS (AJ300-300) 3" OD, 3" Length, 16 Gauge, 6061 T6 Aluminum Joiner Tubing with Bead Roll, 0.065" Wall Thickness is commonly used in industrial, automotive, marine and aerospace industry; Great for custom fabrication project such as DIY air intake, cooling systems, turbo intercooler piping setup because 6061 aluminum is the most popular and versatile alloy, and is the least expensive of the heat treatable aluminum alloys. HPS aluminum round tubing joiner is sold in the T6 condition, ideal for sawing, machining, sanding, and polishing. The aluminum joiner tube can be polished, but due to the softness of the aluminum, care must be taken not to remove too much material, especially in the area near any welds. Remark: HPS does NOT recommend 6061 Aluminum to be used for exhaust systems.